Jeri Lynn Bakken is now farming and ranching full time with her husband, DeJon, and two children, Leif (18) and Mirandi (16), after 18 years as a Community Organizer. They raise beef cattle, sheep, small grains and alfalfa on the ranch near Lemmon, SD. Jeri Lynn has particular interest in the areas of Livestock Concentration, Genetically Modified Wheat and Alfalfa issues and International Trade as it relates to agriculture. 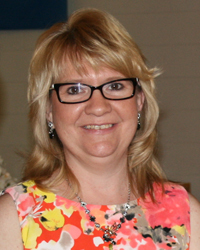 In her community, Jeri Lynn is active in Spencer Memorial Presbyterian Church, is a 4-H leader, sits on the Lemmon Area Tourism Board, chairs the Adams County Zoning Commission, and also chairs the High School Music Boosters. 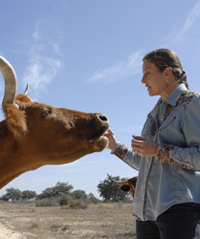 Deborah Davis has been a Texas Longhorn rancher since 1990, and manages a grassfed Texas Longhorn beef marketing company in Bandera, Texas. She is a past President and current Registrar of the Cattlemen’s Texas Longhorn Registry and has served as Secretary and Newsletter Editor for that organization. In addition, she is the vice president and founding member of Cattlemen’s Texas Longhorn Conservancy, a 501c3 sister organization to the Cattlemen’s Registry. Deborah also served on the Board of the South Texas Longhorn Association and was its Newsletter Editor. Before working as a rancher, Deborah was Chairman of Artist Reservations with the Women’s Art Guild of Laguna Gloria Museum in Austin, Texas, and served on the Board of Holistic Management International –Texas. She received museum docent training from the Elisabeth Ney Museum, Laguna Gloria Art Museum and the Harry Ransom Center at the University of Texas in Austin, and Texas Forums moderator training at the LBJ Presidential Library and Museum. Doug Havemann is a U.S. Army veteran, having in Desert Shield and Desert Storm during his 11 years of active duty. He earned a BS in computer information systems and spent 21 years in information technology, focusing on catastrophe operations, infrastructure, wireless infrastructure, complex solution development, and project management. Following that career in IT, Doug became interested in sustainable farming and became co-owner of Mesquite Field Farm in Nixon, Texas. 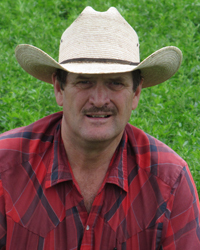 His focus as a farmer has been on sustainability, rotational grazing, and veteran support through farming. Doug completed the Holistic Management International (HMI) Drought Summit and graduated from HMI’s Beginning Farmers and Ranchers Program. 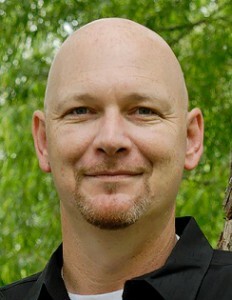 He is also on the steering committee and serves as a speaker for the Battle Ground to Breaking Ground Program. He joined the Board of Trustees of Farm and Ranch Freedom Alliance in 2016. 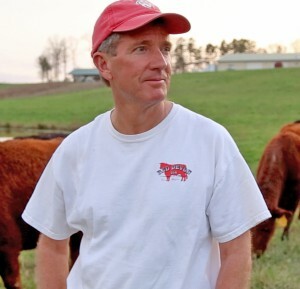 Tom Henslee and his wife Janice bought Back to Earth Farm, a 110-acre farm in the rolling Piedmont hills outside of Asheboro, N.C., in the spring of 2013. Their goal was to create a sustainable farm that produces real food on healthy soils by raising pasture-based cows in a humane manner and utilizing the cows to help heal the soil. Tom’s agricultural activism began when he tried to buy raw milk – a legal product in Texas – from a farmer who was making deliveries to a grocery store a mile from Tom’s house. He was struck by the difficulties faced by small farmers, when their greatest desire is to do things in a sustainable manner for the health of their customers, themselves, and their land. Although he says his education continues daily, he received more formal training in holistic management and spent countless hours with other farmers who served as his mentors. His “off-farm job” is as an attorney specializing in country clubs, resorts, and hospitality law. Tom was General Counsel of ClubCorp during its $1.5B sale in 2006. He holds a Juris Doctor and Masters of business taxation from University of Southern California and a BBA in accounting from Southern Methodist University. Mark Hutchins owns and operates Clementine’s Dairy in Greenville, Texas, along with his wife, Hillary. Together they raise pastured goats to produce Grade A raw goats’ milk. He also helps to manage the family farm where he grew up, Rehoboth Ranch, which produces grass-feed, non-GMO beef, lamb, pork, chicken, turkey, and goats. Mark has been a member of FARFA since 2014, actively assisting the organization on raw milk issues. He joined the Board of Directors in March 2017. 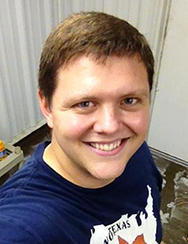 Alex Racelis is assistant professor in the Department of Biology at University of Texas Rio Grande Valley, where his expertise is in agroecology, invasion ecology, biological control of invasive species, socio-ecological systems, and urban ecology. 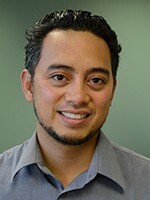 He holds a Ph.D. in environmental studies from University of California, Santa Cruz. He previously worked as a research ecologist with the USDA. Alex is the recipient of a number of awards, including the Ecological Society of America Education Scholar (2016), the University of Texas Regents Outstanding Teacher Award (2016), and a Fulbright Garcia Robles Research Fellowship to conduct research in Mexico. Howard Vlieger is a third generation family farmer who has been a “student of the soil,” studying why and how the soil works as it does, since 1989. Howard lives on the family farm where he was born and raised in northwest Iowa, and assists his son with some of the farming duties. Since 1992 Howard has been a crop nutrition adviser and has founded two companies to help family farmers reduce their dependency on chemical-based farming and transition to biological and/or organic production. Howard now works and teaches as an independent crop nutrition advisor, helping both crop and livestock farmers all across the United States. Howard works with scientists and researchers around the world to develop effective solutions, based on the latest science, for the real-life problems farmers are experiencing because of GMO crops and glyphosate. Howard is a co-author and the primary coordinator of a first of its kind scientific study: the feeding of GMO grain and non-GMO grain to hogs for their lifetime as a meat animal. Howard is an internationally recognized speaker on the topic of GMOs. Howard also serves on the board of directors for the Council for Healthy Food Systems (CHFS), Farm and Ranch Freedom Alliance’s sister 501c3 organization. His greatest accomplishment is that of being a Christian husband to his wonderful wife Pamela of 32 plus years, a father of 3 young adult children and proud grandfather of two.